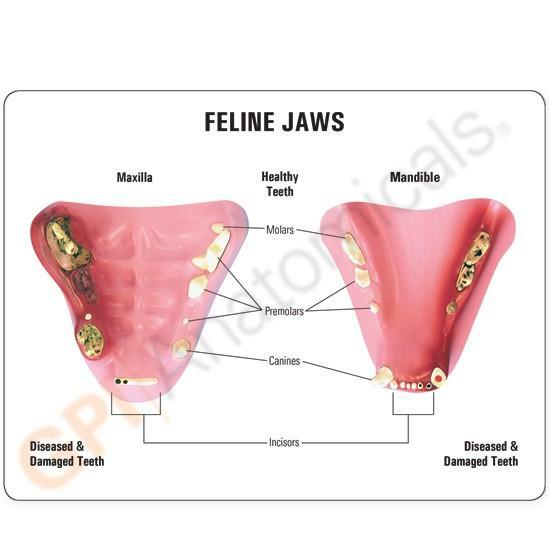 Average size feline jaw depicts healthy teeth on the right side and diseased/damaged teeth on the left. 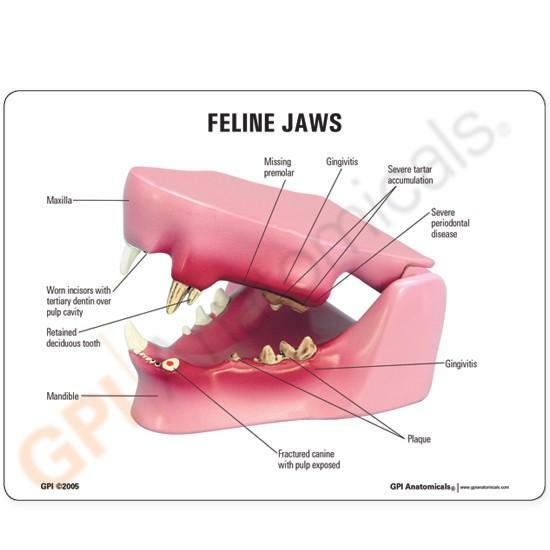 The eight pathologies featured in this Feline Jaw Model: fractured canine, periodontal disease, tarter accumulation, plaque, gingivitis, worn incisors, retained deciduous tooth and missing premolar. 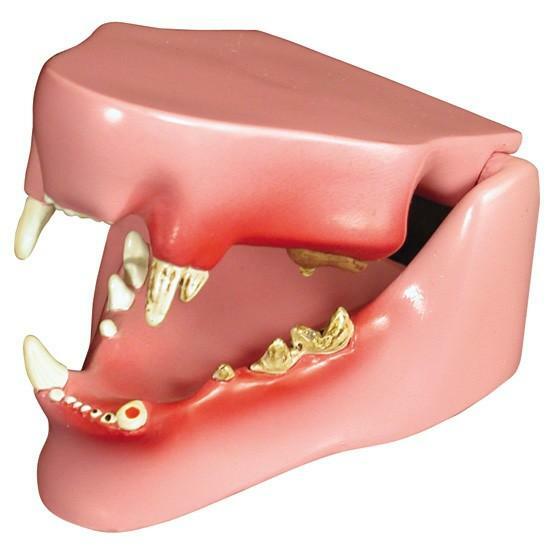 The jaw may be opened, closed and separated for closer study. Model Size: 2-3/4" x 2" x 1-1/8"